I am a EEC Teacher Certified. 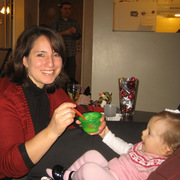 More than 10 years experience as Nanny, and Infant/toddler teacher at a preschool. I have 2 children of my own and I am soon to be graduating from Umass Boston for Early Childhood Education. I am Bilingual English/Spanish.